The world could soon be "cast back into the dark ages of medicine" unless action is taken to tackle the growing threat of resistance to antibiotics, Prime Minister David Cameron has said. Chief medical officer for England, Prof Dame Sally Davies, has been answering some of your questions about antibiotics. @Nidgster tweets: Why are doctors so keen to give them out - for anything. Dame Sally Davies answers: It is not fair to say that doctors give antibiotics out for anything. Doctors do want to meet their patients' expectations, and many say they often feel pressured into giving out a prescription. There is currently no test that doctors can do in their surgeries to check if a patient is unwell because of an infection caused by bacteria or a virus. This means that a doctor might prescribe the antibiotic as a precaution. However, last week, the public voted for antibiotics to be the subject of the £10m Longitude Prize to develop a rapid diagnostic that will enable doctors worldwide to properly identify those patients for whom antibiotics will actually be effective. This is testament to a growing public appreciation of the problems of antimicrobial resistance. @RPeberdy tweets: How much does it cost to bring a new drug through development, 2testing & to market? Respectfully @longitude_prize? Dame Sally Davies answers: The cost of bringing an individual antimicrobial drug to market is thought to be in the region of £750m to £1.2bn. Dame Sally Davies answers: We can use our influence to work with other countries and organisations like the World Health Organization and the European Commission to make sure that all countries have a common understanding of this issue and are doing their bit. We are working with other countries in the Commonwealth to help them improve the systems they have to monitor resistance and respond to outbreaks of infections. Daniel, Southampton, emails: How long do you think this review will take, and then how long before we see action taken? Dame Sally Davies answers: We expect it will take up to two years. The review will present its initial findings in 2015, with the final report and recommendations due in 2016. If there is international consensus on the recommendations, there is no reason why the recommendations shouldn't be actioned as quickly as possible. Charles Glasse, London, emails: How can a firm, like Basilea, be expected to invest typically 1bn euros in developing a new class of antibiotic that will be bought by health services to simply sit on the top shelf only to be used in the currently rare cases of total resistance? A £10m prize is not a serious incentive. 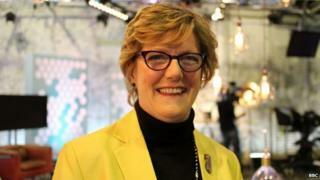 Dame Sally Davies answers: Firstly - the £10m prize is being offered for the development of a diagnostic test. It is precisely this problem that has led to the establishment of this new independent review - we need to explore how we can make investment in antibiotics more attractive to pharmaceutical companies. Ensuring there is a balance between providing incentives and conserving the drugs so they stay effective is a key issue that the review will look at. Paul Davey, Haywards Heath, Sussex, emails: Are patent lengths too short? If we want more new antibiotics (as well as using current ones more effectively) do we need to reach a fairer deal for drug companies and society? Why do patents on drugs that take millions of pounds to develop and test and license last 20 years? Dame Sally Davies answers: This is precisely the kind of issue the new review will look at. There are many different things we could do to help stimulate research and development and provide incentives to drug companies - but we need to identify which would be the most effective and would be acceptable to other countries. The UK cannot sort this one out on its own, we need to agree the best approach internationally. Brian Plunkett, Bedfordshire, emails: There seems to be endless supply of products available to the consumer for killing off bacteria in the home - sprays and wipes. Surely this must contribute a little in us, as humans now in danger of simple bacteria causing us harm by resistance - our immune systems being compromised. What should we do? We cannot all live in a bubble, our lives and our environment should perhaps be less sterile. Dame Sally Davies answers: It is bacteria that become resistant, not humans. It is important that we all practise good hygiene, like washing our hands, in our day to day lives. David Thomas, Paisley, Renfrewshire, emails: Why do we allow farmers to use antibiotics as growth promoters? Is this not a major source of resistant bacteria? Dame Sally Davies answers: In the UK we believe that the major driver of resistance is prescribing for humans. Antibiotic growth promoters have been banned in the EU since 2006. Nevertheless we appreciate that good farm management, biosecurity, and animal husbandry systems are vital to minimise the occurrence of disease and therefore reduce the need for antibiotic use. The government has made it clear that the routine use of antibiotics (ie as a prophylactic strategy) in the farming sector is considered wholly inappropriate. The Department of Health works closely with the Department for Environment, Food and Rural Affairs to make sure the right drug, right dose and right duration is used to limit unnecessary antibiotic exposure. Dev, Buckinghamshire, emails: I am aware there are some amazing sources of very powerful antimicrobial substances already well known and available in nature ie found in wild oregano oil, gut of the crocodile, sea cucumbers, sponges, marigold leaves, mangosteen fruit, turmeric root, neem leaves et cetera. I in fact regularly treat my sinus and skin infections with pure oregano oil, and it works like a charm without any side effects. Why is there so little public awareness of it? And why can't they be commercialised? Dame Sally Davies answers: The use of any new antimicrobial has got to be scientifically based and peer reviewed. There aren't any studies that indicate alternative treatments like these can contribute to the reduction of serious bloodstream infections. Sarah, Birmingham, emails: Why don't hospitals, schools, and other institutions use therapeutic essential oils (TEO) to stop the problem with bacteria and viruses as TEO have been shown to be effective against bacteria and viruses to an equivalent or greater level than antibiotics. Dame Sally Davies answers: Research into new and innovative approaches to the treatment and prevention of infections is very important. There aren't any studies that indicate alternative treatments like these can contribute to the reduction of serious bloodstream infections. There are agencies that cover significant research of this sort, like the Medical Research Council which covers research across the biomedical spectrum, from fundamental lab-based science to clinical trials. The MRC works closely with the NHS and the Department of Health on research that is likely to make a real difference to clinical practice and the health of the population. Zoe Stokes, Loughborough, Leicestershire, emails: Has the CMO sought to liaise with the CVO on this matter? I am a vet student and see antibiotics used 'willy-nilly' on farms all the time more often than not as a preventative treatment rather than where needed. If we are loading our food/milk sources with antibiotics surely this cannot be a positive contribution to the problem? Dame Sally Davies answers: Yes, I am working very closely with the chief veterinary officer on this issue and I am aware that there are a number of initiatives under way that aim to promote the responsible use of antibiotics in the animal sector. The approach we are taking to tackle this problem spans people, animals, agriculture and the wider environment. Rupert Millard, Oldbury, West Midlands, emails: I am a registrar in a GP surgery. I see a lot of people who want antibiotics for self-limiting upper respiratory tract infections. Most understand when I explain that their condition is caused by a virus and will get better on its own, but a significant minority are clearly disappointed (some are rude) and react like I'm holding back appropriate treatment. Could you do something to proactively manage patients' expectations in this regard? Dame Sally Davies answers: We have been working to promote key messages about antibiotics to the public for some time, but we need to do more to engage them and help to change attitudes.